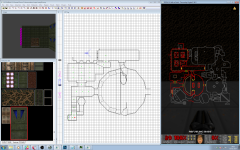 Brendon Chung (Blendo Games) has released The Doom 3 BFG Edition Starter Kit. Just like his Doom 3 Starter Kit, it's a set minimum assets to run the engine and allow you to start using the engine to create your own games. 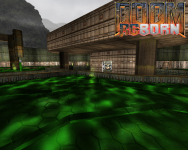 It's been tested with Robert Beckebans' RBDoom3BFG port. I don't happen to have C++ installed at the moment so I can't test it out, but leave something in the comments how this works for you. April 13 – BYOC Select a seat ($50, no limit stated). The QuakeCon staff also gave an explanation of what and why things are different this year vs last year, so give that a read. You can read that here. Now that you see the trailer, you'll want to know about all the neat stuff they've done: they've added hundreds of models for mappers to use, added a introductory mission that showcases some of the new models (also to introduce players to the gameplay), rendering improvements, a new AI unit, cubemap lights (greatly improved over the D3 stock way of doing it), uncapped FPS, and an updated Dark Radiant map editor! :) The Dark Mod is also on Steam Greenlight now. You can read all the changes over at moddb.com and can find the game on their website. A new dialog. Creates models based on the skeleton and cuboids. 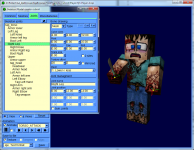 Models can be imported from from the MCSkin3D application. 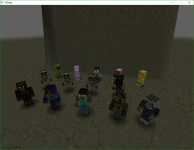 Reuse of already existing minecraft model skins is possible. The current loaded model is exported as a Q3 player model. Resort joints tree by recursive walking the tree and bring the child's in a proper order. Re-links a joint to an other parent or make it a root joint. If meshes share the same texture, now all meshes are displayed. The selected mesh shows white lines, other meshes show light blue lines. Twitter blew up since yesterday... Quake Con 2017 Announced! new game announcements (but it's assumed Quake Champions will be discussed). We've got new levels E2M5, Map09, E1M4b (To get to E1M4b you have to find the easter egg in E1M3 or cheat by entering "Map e1m4b" in the command console & to get to E1M8b you have to find the easter egg in E1M7 or cheat by entering "Map e1m8b" in the command console). GameHacKeR added new textures for the new levels and have removed a lot of unused textures and old duplicates, and he's also created parallax maps for various other textures. Be sure to read all the details here. There's also a guide to using the Parallex feature and how to install the “Save Patch” so your old saves will work. You can get more information over at the Mark V website. Brutal Doom 64 Out! Yeah! 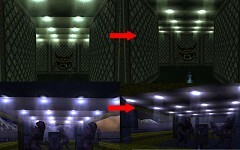 Brutal Doom 64 includes Brutal Doom 64 1.0 with Zandronum 3.0 Alpha. It can run with GZDoom if you're interested. You can also download an icon pack to choose your Start menu icon for! :) For multiplayer you need Doomseeker. Also, Sergeant Mark IV says a new patch will be out soon to improve the way faux lens flares are rendered. What is Brutal Doom 64? Well, it's Doom 64 (the Nintendo 64 version of Doom) converted to PC with Brutal Doom's action and gore. Give it a download now!